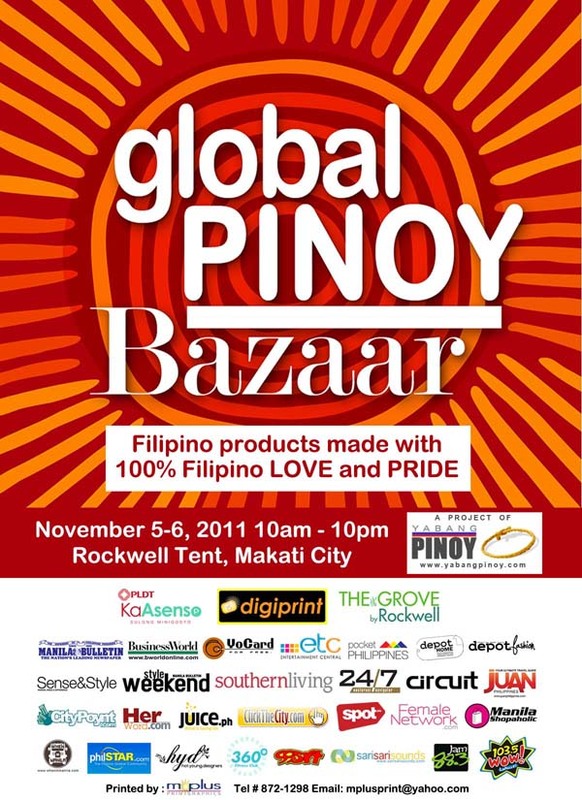 Winners of the Global Pinoy Bazaar Giveaway! First of all, I'd like to thank everyone who joined and helped me spread the word about my giveaway. I was kind of nervous since I haven't really thought about holding giveaways just yet, but the opportunity just came knocking and I'm thankful! Thank you also to Yabang Pinoy for giving my lovely readers the chance to experience the event for themselves! So here we go! Congratulations to the following for winning passes to the Global Pinoy Bazaar! I'll be sending your names to the Yabang Pinoy team. You can all bring a friend to the event! :) Mark your calendars and I'll see you and your friend there!!! Don't forget to bring your IDs. Thank you so much for joining! Yey Thanks!! so how are we going to get our prize? we'll just present our ID and we can get in the bazaar na?